This book was entirely MADE FOR ME. I mean, just look at it. Ghosts! And breakfast! I'm such a rabid fan of Both those things that I was destined to love this book. (I mean look I wrote a whole wattpad story about ghosts and food.) It also had a distinctly summery vibe that made my cold soul, withering through winter, absolutely gleeful. I am a fan, folks. So the book is set in a bed and breakfast. A haunted one, naturally. And although I do wish there had been a bit more ghostie action, I loooooooved that it focuses on a vengeful ghost. Who tries to drown people, frequently. #GoodTimes It was about solving murder mysteries and also just a conglomeration of good ol' teenage frustrations. Like do you a) work up the courage to kiss that boy, or b) get possessed by a ghost and then try to stab him. SO MANY OPTIONS FOR LIFE. It's dual narrated by Autumn and Liam. In 3rd person! WHICH IS MY FAVOURITE SO YAY FOR THAT. I liked both of them! They had distinct voices and were totally complex interesting characters that I was rooting for! Although maaaybe I liked Liam a little better because he was a bit tragic and I do so love the tragic ones. I also thought their romance was SO well done! It was slow-burn and sweet and didn't overwhelm the ghostly storyline. Oh and there is much emphasis on grandparents! Because it's this ghost that someone's grandparent killed that is shrieking around making everyone not want to eat their breakfasts. SO! YAY FOR GRANDPARENTS IN YA! Do I even need to say it? OKAY FINE. TWIST MY GHOSTLY ARM. I loved this book!! It's one of the best ghost stories I've read in AGES. I also adored the author's debut Grunge Gods and Graveyards which I 100% insist you go devour too. But Dead And Breakfast was cute and funny and summery and GHOSTLY and it had some seriously creeptastic moments and some n'awwwww moments and IT'S FULL OF DEAD PEOPLE SO HONESTLY WHAT COULD BE BETTER. 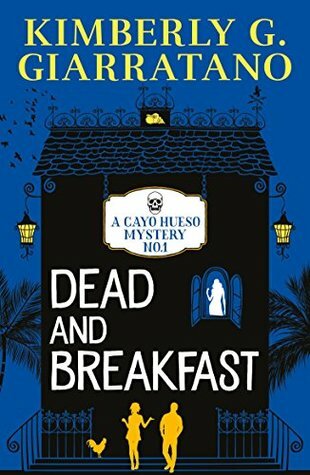 Sign into Goodreads to see if any of your friends have read Dead and Breakfast. 30.0% "Ghosts???? Breakfast??? THIS BOOK WAS TOTALLY MADE FOR ME." This book wasn't even on my radar, but now, I TOTALLY need to read it! @Zara: YOU DO. EVERYONE NEEDS IT. I must read this because my name is in it! I hardly ever come across fictional characters who share my name.